It seems that one of the things that happens when you get married is that you buy "grown-up" furniture. It costs a barking fortune. 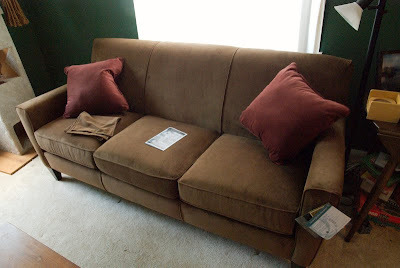 Fancy new couch (or sofa? what's the difference anyway?). 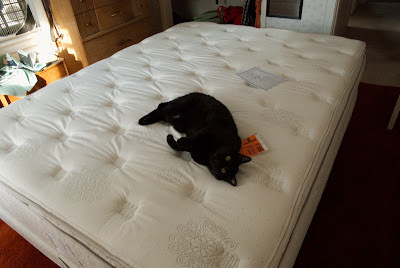 Jess approves of the new mattress & box springs. Queen-size, not double. Getting old am I.
p.s. If you are as annoyed by Blogger's teeny-tiny edit box as I am, install Mark A. Ziesemer's wonderful Greasemonkey script for immediate joy.